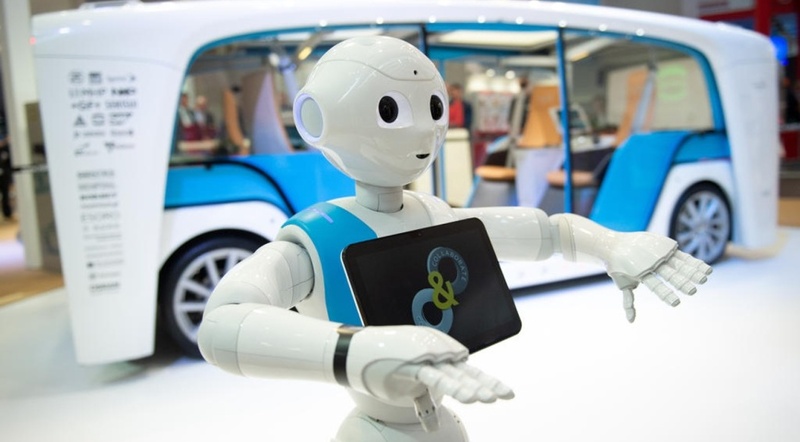 David Humphrey of the ARC Advisory Group, a leading technology research and advisory firm, provides his analysis of this year’s Hannover Messe. David and ARC Advisory Group are long-term associates of Gideon Franklin Limited. In the wake of initiatives like Industrie 4.0 and Industrial Internet of Things (IIoT), commercial IT continues to penetrate and influence traditional conservative manufacturing and process industries like no other trend in the past. 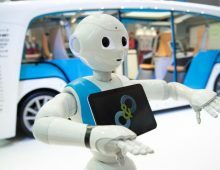 This metamorphosis was more evident at the 2018 Hannover Messe than at previous shows and even more than at the more focused SPS/IPC/Drives last November. This year, IT companies focused on the practical side of Industrie 4.0, making it clear that products and platforms are available now to support IIoT in manufacturing. Today, IT and OT are not only converging, they are actively being implemented and the efforts of manufacturers are bearing fruit. 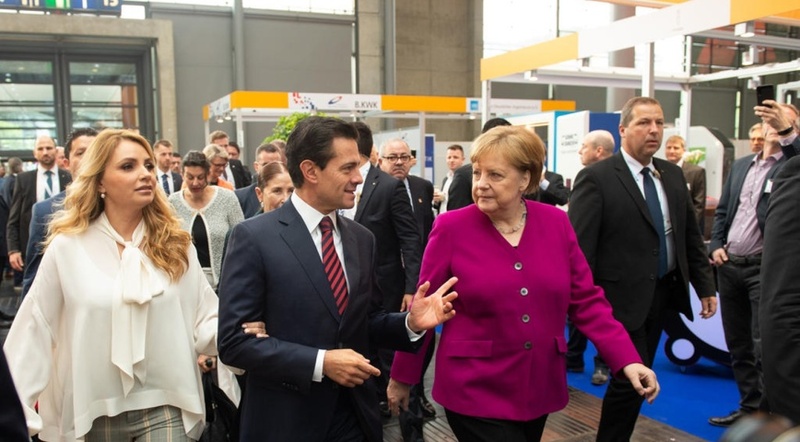 This year’s Hannover Messe welcomed 210,000 visitors. More than 70,000 visitors came from outside Germany, for an international share of 30%. China headed the foreign visitor statistics with a total of 6,500, followed by the Netherlands (5,300), Poland (2,700) and the United States (1,700). More than of 1,400 visitors attended from Mexico, this year’s partner country. 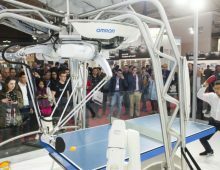 The Hannover Messe has become the meeting point for the convergence of IT and OT (commercial IT and traditional automation technology). It is exciting to see how fast traditional industry is changing and profiting from the growing influence of “outsider” technology from the likes of Intel, SAP, Microsoft, IBM, HP and Cisco. This year’s fair expanded the trend as a growing number of commercial IT suppliers find Hannover to be the right show to demonstrate their solutions for industry. Many of these suppliers had large partner booths that allowed automation providers of all sizes to demonstrate how their solutions run on commercial-grade IT platforms like SAP HANA or Microsoft Azure. The manufacturing industry is not normally known for fostering a fruitful environment for start-up companies. Clearly, it is the influence of the IT industry that is attracting entrepreneurs to capitalise on newly created needs in the manufacturing and process industries. These entrepreneurs are beating traditional suppliers to the punch with new and innovative solutions. Most start-ups that exhibited at the fair are focusing on different aspects of analytics. Some are taking a bottom-up approach by providing the hardware and software tools necessary to collect and organise data from the field. However, many of these solutions are not advanced enough to integrate analytics tools. The assumption is that the user will take care of this themselves. Hannover Messe is the traditional annual meeting place for German and international industrial giants. In the last three years, the show’s organisers have shown a willingness to keep pace with the rapid changes occurring in our industry with exhibition space that highlights the convergence of traditional plant solutions with modern, commercial IT technology. 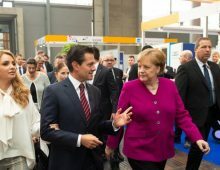 As such, Hannover Messe has become the top industry event worldwide to view not only the current state of our industry, but also to peek into our future. Our CEO, Gideon Franklin at the CKD display, Hannover Messe 2018. 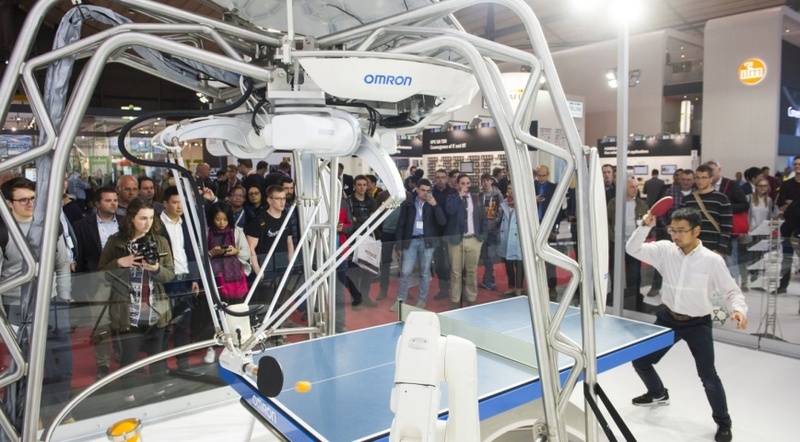 Table tennis at the Omron stand.